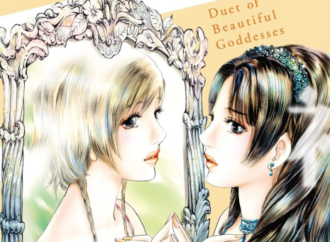 Welcome to the first installment of Presenting Dark Horse ! 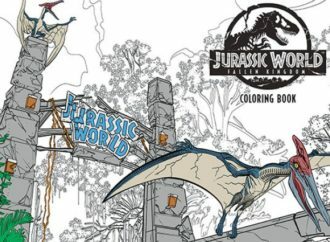 This cleverly named column will be a monthly roundup of all the latest comic releases, industry news and miscellaneous musings about Dark Horse Comics, presented by a longtime comics fan and admirer of this publisher’s unique content library. Here is a brief introduction for those unfamiliar with the publisher and multimedia entertainment provider. If Marvel and DC are the two primarily powerhouses of the comic book industry, consider Dark Horse Comics as their kid brother. 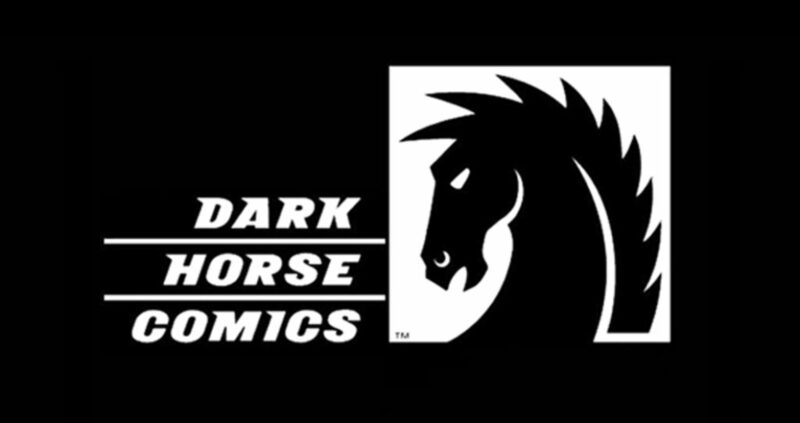 Founded in 1986 by Mike Richardson, Dark Horse has quickly grown into the third largest comics publisher in the United States. Nearly since its industry birth, it has been known for its comparatively unusual but wildly successful interest in developing comic book sequel series to licensed movie, television and video game franchises. It is also slowly, but surely, becoming known for the excellent original comic series owned and developed by independent creators. With all that said, let’s begin with last month in this publisher’s long history. Overall, July 2017 was a very busy time for Dark Horse: while its latest comic releases were not outright noteworthy, the publisher has received a lot of attention for its creator-owned comics as of late thanks to the annual Eisner Awards and the announcement of its new imprint. Then, during San Diego Comic Con, Dark Horse revealed that several television shows are in development based on some of its most popular comics and podcasts. These television adaptations are a clear indication of the publisher’s long term plans to expand its audience and diversify its content offerings. It will be especially interesting to see how these new shows stack up against the similar shows being offered by Marvel and DC on numerous streaming and cable platforms. Regardless of the competition, Dark Horse is emerging as a formidable influencer in comics based entertainment, and I’m excited to share these developments with you in the following months. As mentioned, July 2017 featured new comic releases for the publisher’s various licensed properties: Alien, Predator, Mass Effect, Dragon Age, Buffy the Vampire Slayer and Angel, specifically. This comic slate demonstrates the typical state of affairs at Dark Horse Comics. While there is certainly nothing wrong with these types of comics, and they will definitely be included in future monthly roundups, I want the choices for this first column entry to showcase the creator-owned work that the publisher has increasingly promoted in the last few years. 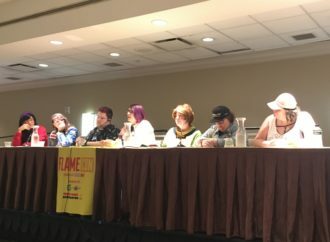 These comics help establish Dark Horse as a middle ground publisher in the comics industry, one that offers a good mix of diverse reads between all the superheroes and the more obscure indie comics. Iconic comics like Frank Miller’s Sin City and Mike Mignola’s Hellboy series have been born from Dark Horse’s trust in these original comics, and as the publisher allows more progressive works under its name it has received numerous accolades that affirm this choice. 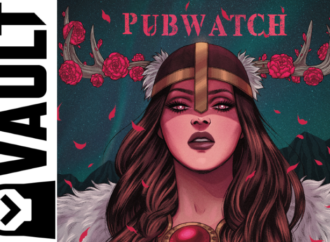 Since some of these creator-owned comics were recently rewarded with prestigious industry awards (more on that later), this month’s brief comic reviews will pull from the publisher’s extensive list of newly acclaimed original comic series and one-shots. Honestly, who was I before Black Hammer? A shell of a superhero fan, beyond bored with the genre’s tendency to oscillate between phases of purposely offensive, manufactured cynicism and self-righteous, feel good stories of ultimate good vs. easy, one-dimensional evils. Now, I admittedly tend to favor darker comics stories, especially ones that interrogate the idea of superheroism against the real world complications of personhood, social responsibilities, personal morality and selfish human nature. However, these stories often devolve into intracommunity superfights that fail to bear any real consequences to the outside world. The motivation behind these conflicts feel as fake as the fictional characters so randomly invested in them, and I leave these stories with whatever initial interest I had in them trapped within its final pages, never to be retrieved again. So I came to Black Hammer somewhat guarded, considering its claim to be among the many serious deconstructions of the beloved genre. The plot is simple enough – after a band of heroes save their world from a near apocalyptic event, they are somehow transported to an isolated town from which they cannot leave. 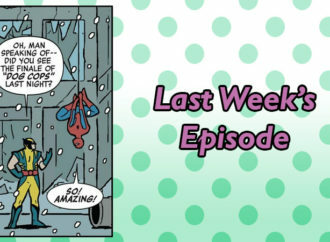 The comic opens ten years after this life-altering event, where we find the former heroes trying to either adjust to or escape from this new life, especially since they are without their powers and the titular superhero Black Hammer has gone missing under very mysterious circumstances. Broken heroes, small town secrets, a potential greater threat purposely trapping them in an alternate (?) reality – definitely been there, done that. Never did I imagine what a tour-de-force of mature themes, heartbreaking backstories and genuine humor that lay ahead. 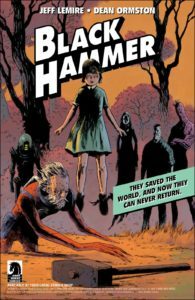 Black Hammer shines as an introspective journey into the lives and legacies of superpowered individuals after the Age of Superheroes has come and gone. Before we even know who these characters were in their past life, we are introduced to who they have become: old and weary civilians, forced together now in a dysfunctional parody of a chosen family that is too damaged to help soothe individual experiences of loneliness, trauma and mental illness. A pervasive sense of loss threads itself through each issue, which is heightened by the stagnation of the farm town they presently live in and the brief glimpses of each hero’s amazing Golden and Silver Age inspired origins that they long to experience again. Ormston matches Lemire’s poignant writing with an art style that is memorable both in its depiction of small town realism and the super-fantastic; there are some images still burned in my head for the breathtaking horror that it draws from common superhero situations. 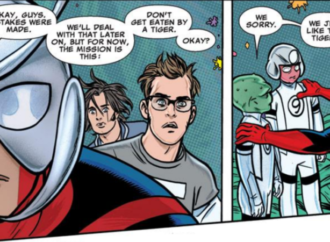 There is also a genuine love of these well-worn tropes, as the comic explicitly references such great heroes like Captain America, Shazam, Batman, Martian Manhunter and more to attract readers before unraveling these beloved identities before their eyes. 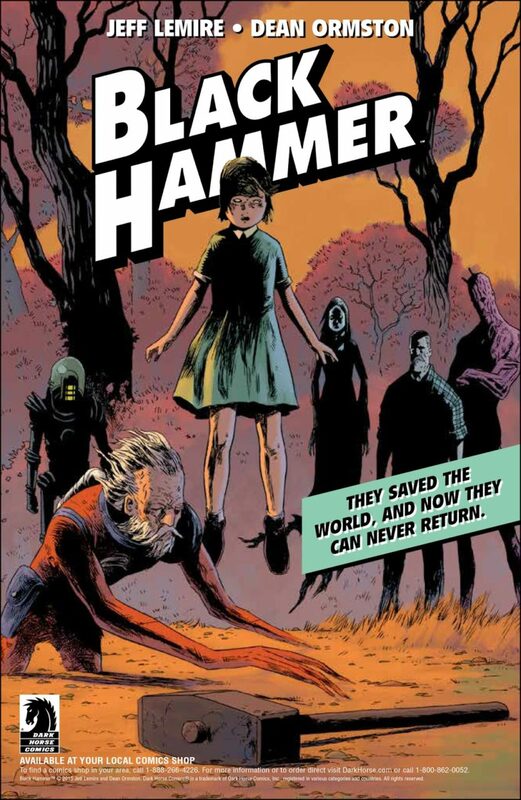 And the series only seems to improve with each new issue, revealing more diverse characters who become wrapped up in the mysteries of Black Hammer. This ongoing comic series comes highly recommended as one of the greatest new comics being published in the industry – and if this review doesn’t convince you, then I hope the recently won Eisner Award for Best New Series does instead. Stories about animals have never really been my thing in any medium. I think the last one I enjoyed was Wishbone on Nickelodeon, but I was too quickly swept up by human stories in my youth to really appreciate fictional nonhuman personifications. 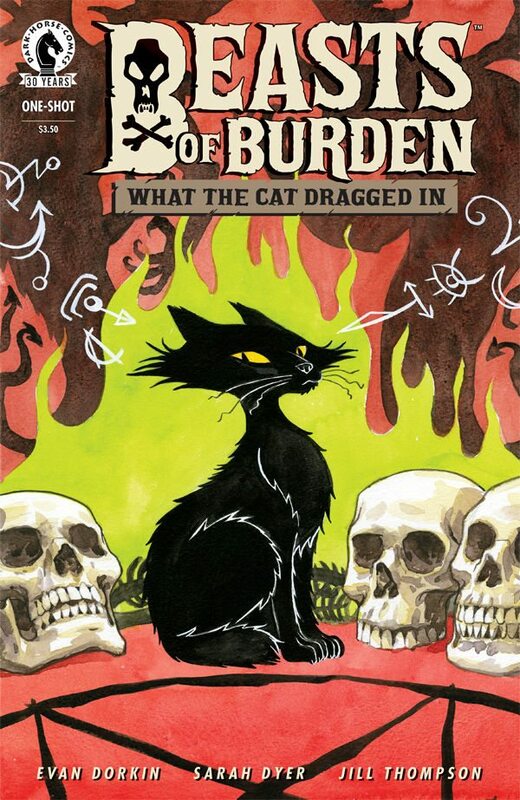 So I was a little unsure about Beasts of Burden and the one-shot in the series that just won the Eisner Award for Best Single Issue/One-Shot. Foolishly, in hindsight, because What the Cat Dragged In is absolutely awesome. Beasts of Burden follows the paranormal investigations of a group of intelligent animals in the small town of Burden Hill. This issue deals with somewhat undisclosed drama between our main feline detective and a close former friend, a familiar for a lesbian coven of witches who abandoned their feline family after a strange supernatural presence takes control of their home and forces them to move. With the help of a family of raccoons, the cats put aside their differences to learn more about the mysterious presence and save the familiar’s family. What immediately drew me into this comic was the beautiful artwork by Thompson, whose brushstrokes are hauntingly gorgeous and succeed in giving each animal a distinct personality. Couple that with Dorkin’s flair for writing tension and I was pretty quickly hooked. The plot itself has all the mystery and intrigue your average fantasy fan could ask for, with a distinct feeling of horror slowly and insidiously stalking our cast as they travel deeper into the house. All this intensity culminates in what I can honestly say is a terrifying surprise twist at the end, perhaps one the darkest endings I’ve experienced in a full minute. All in a story about cats! It was a fun and chilling ride, and a well-deserved win for this incredibly talented creative team. Zodiac Starforce: Cries of the Fire Prince #1 by Kevin Panetta and Paulina Ganucheau – a sequel series about a group of teenage girls who struggle to go to school while protecting the planet with their new magical powers. Definitely inspired by Sailor Moon in all the best possible ways. American Gods: Shadows #5 by Neil Gaiman, P. Craig Russell and Scott Hampton – a direct adaptation of Neil Gaiman’s American Gods novel. It may be a little jarring for fans of the show to see how Hampton draws the characters (Shadow looks like Michael Ealy, which is hilarious), but it is so worth it to see all the things that didn’t make it to the little screen. The publisher was honored at this year’s Will Eisner Comic Industry Awards with eight total wins in categories such as Best New Series, Best Single Issue/One-Shot, and the prestigious Russ Manning Promising Newcomer Award for comic artists. Along with the aforementioned Black Hammer and Beasts of Burden, winners from Dark Horse Comics include Bird Boy, Bandette, and artists like our girl Jill Thompson, Anne Szabla and Todd Klein. The complete list of winners and their respective categories can be found at the link in the title. While the Big Two have dominated the entertainment industry with a steady stream of superheroes for nearly a decade, it looks like Dark Horse is poising itself to be the next big provider of live-action superhero shows. The publisher recently revealed that Netflix is developing a 10-episode adaptation of The Umbrella Academy, the Eisner-award winning series created by My Chemical Romance singer Gerard Way and Gabriel Bá. The show will be produced by Universal Cable Productions, and its creative team will include industry heavy hitters like The Exorcist’s Jeremy Slater as the pilot screenwriter and Fargo’s Steve Blackman as executive producer and showrunner. 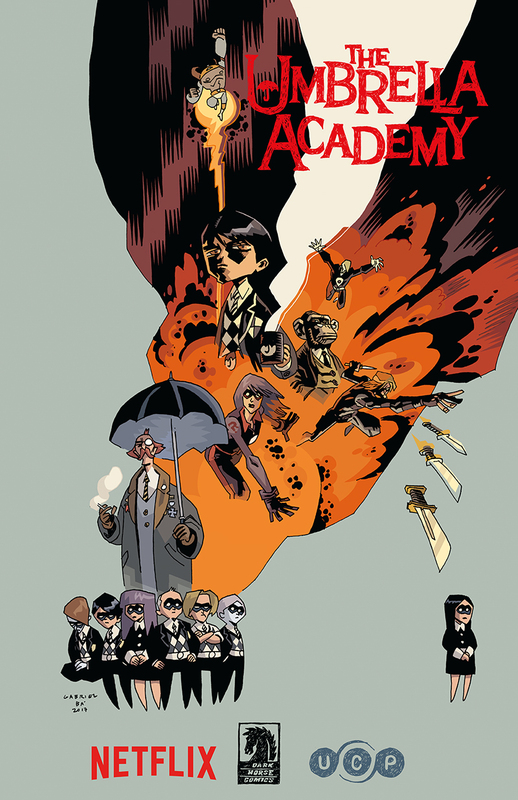 The Umbrella Academy focuses on an estranged family of superheroes trying to solve their father’s murder. The comic series brings a freshly dysfunctional, dark humor laced spin on the well-loved genre, and it’s this uniqueness that has long interested UCP. Netflix will bring the show to life on the small screen sometime in 2018. 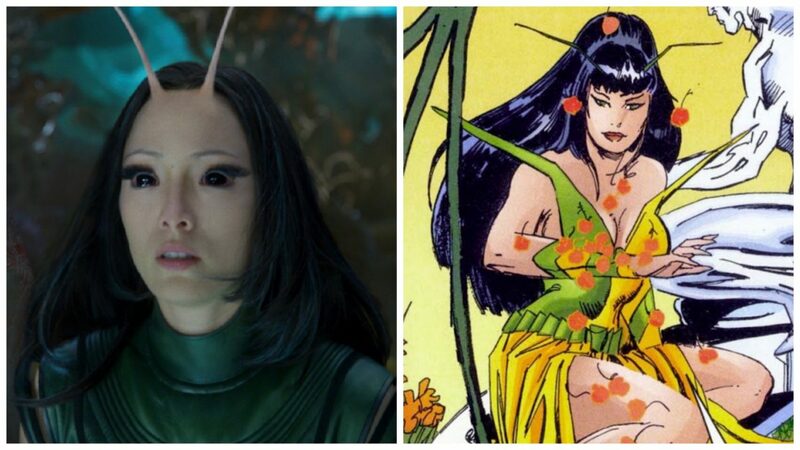 An upcoming Netflix show is not all that Dark Horse and Universal Cable Productions has to offer to a new generation of fans. Soon after announcing The Umbrella Academy project, Dark Horse Entertainment and UCP renewed their first-look deal which allows the production studio to develop live-action shows based on the publisher’s comic library. Mind MGMT by Matt Kindt, a true crime/supernatural comic about a writer investigating a mysterious plane crash. The Blacklist co-showrunner Dan Cerone will lead this project. Flutter by Jennie Wood and Jeff McComsey, a romantic thriller about a trans teenage shapeshifter dealing with the romantic trials, and FBI-related tribulations, of these new powers. Rain director Katherine Lindberg and Sense8 executive producer Marc Rosen will develop this project. Tanis, a podcast by Terry Miles about a man’s search to unravel the “last great mystery of the internet age.” Hemlock Grove writer Lee Shipman will create a television show based on the podcast with Miles, South Park producer Debbie Liebling and Evil Dead producer Sam Raimi. The Bright Sessions, a podcast by Lauren Shippen concerning a mysterious therapist and her various supernatural patients. The television show will be developed by Shippen and Gabrielle G. Stanton, a writer and producer for Grey’s Anatomy and The Flash. This one is a personal favorite of mine, featuring a predominantly female cast and a black teen whose journey of self-identity melts my heart with its sweetness and relatability. I’ll be on the lookout for news on this TV series in particular for this column. Hungry Ghosts by Anthony Bourdain and Joel Rose. This four-issue anthology series will focus on a group of international chefs as they test their courage and prowess with food a la the Japanese Edo Period game Hyakumonogatari Kaidankai, or 100 Candles. Artists Vanesa Del Rey, Leo Manco, Alberto Ponticelli, Paul Pope, and Mateus Santolouco will also contribute to this anthology, set to go on sale January 31, 2018. Incognegro: Renaissance by Mat Johnson and Warren Pleece. A prequel to celebrate the 10-year anniversary of Incognegro: A Graphic Mystery, this new series will follow a young, white-passing journalist as he investigates the party scene of the Harlem Renaissance and confronts new realities of race and identity. A special edition of A Graphic Mystery will go on sale February 6, 2018, and Renaissance will be released on February 7. 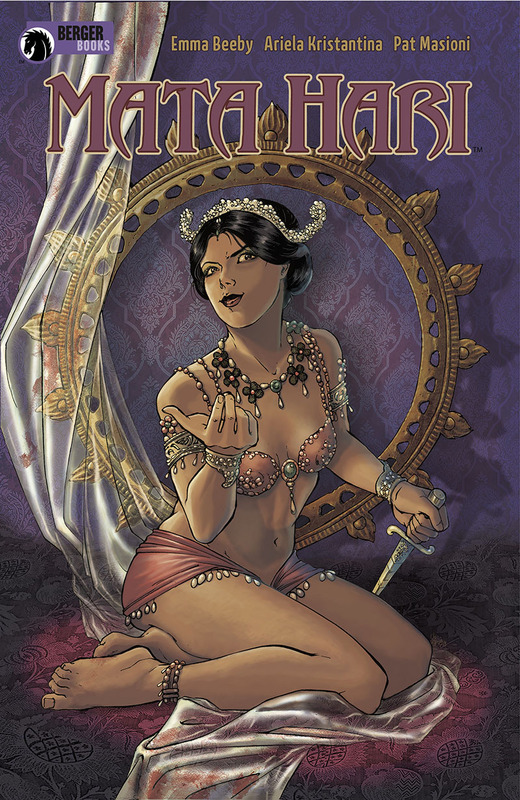 Mata Hari by Emily Beeby, Ariela Kristantina and Pat Masioni. A visual biography on Margaretha Geertruida MacLeod, the series will examine her life as one of the earliest female spies who used her skills as a courtesan and exotic dancer to serve Germany in WWI. Through fictional diary entries informed by numerous biographies, this comic series will shed light on this mystery woman starting on February 21, 2018. Seeds by Ann Nocenti and David Aja. In a limited four-issue release, this ecotech thriller stars an idealistic journalist who stumbles upon a groundbreaking story about the strange mutation of the environment, which she struggles to make people believe. Toted (somewhat strangely, to be honest) as a “story of love beyond race and gender,” this series goes on sale on March 28, 2018. Additionally, along with the anniversary release of Incognegro: A Graphic Mystery, Berger Books will release The Originals: The Essential Edition which will recollect Vertigo’s The Originals by Dave Gibbons in a new edition containing exclusive development art, process pieces, and behind the scenes extras. The new edition will be released April 18, 2018. Book One of Legend of Korra: Turf Wars! Be still my queer heart of color. The grand finale of Lady Killer 2! I already know this stylish take on female assassins will end up as a Gem of the Month. The latest information on Dark Horse’s expansion of its cinematic universe, including casting news for the Hellboy reboot and a new comic series being developed for the big screen. Expect to see some of your favorite stars enter the Dark Horse universe!